University of Alabama-Birmingham to close football program? Multiple media sources are reporting that the University of Alabama-Birmingham is preparing to shut down its football program, possibly this week, as the athletic director is expected to be fired as well. The announcement is expected to be no later than Thursday. UAB is undergoing a university-wide comprehensive strategic planning study that included an evaluation of the financial viability of football. The last NCAA Division 1, FBS school that dropped football was Pacific back in 1995. UAB started it's football program in 1991 as an NCAA Division III school. This speculation comes as the Blazers beat Southern Mississippi 45-24 last Saturday night, and become bowl-eligible for the first time since 2004. On December 1st, the Cats travel to North Charleston to play the Charleston Southern Buccaneers. This will be the 15th meeting between the two teams, and the Catamounts hold a 10-4 all time record with CSU, but are 2-3 in games played in North Charleston. Western brings a 6 game winning streak with CSU into the contest. 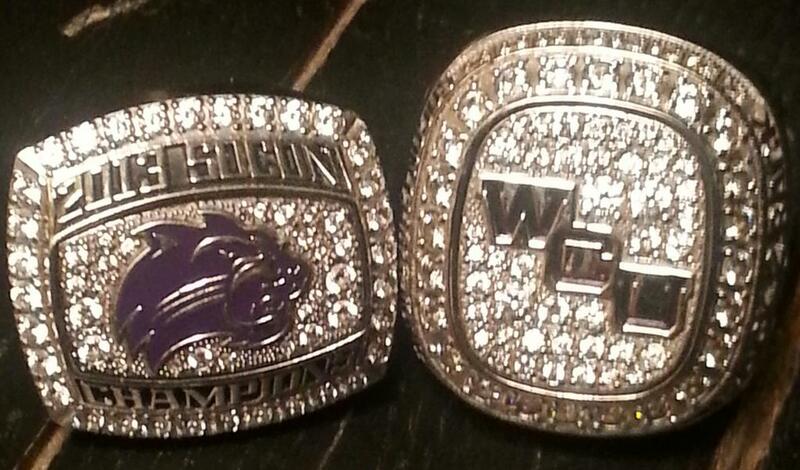 The two teams last met in 2013 in Cullowhee, and the Cats won the contest, 92-84. The Bucs return five seniors, to a team that finished the 2013-14 season with a 16-18 overall record and went 6-10 in the Big South. Seniors Cedrick Bowen, Paul Gombwer, Arlon Harper and Saah Nimley have combined to play in 357 of a possible 376 games, while totaling 228 starts Nimley and Harper became the third pair of Big South teammates to reach the 1,000-point mark as juniors last season. The 2014-15 Bucs were selected to finish 5th in the 11 team Big South Conference, with Saah Nimley and Arlon Harper selected for the BSC Preseason All-Conference Teams. Head coach Barclay Radebaugh, in his 10th season at CCU, and brings in his team with a 3-2 overall record this season with at least one impressive win. The Bucs knocked off Ole Miss, 66-65 in overtime to open the season, and have wins against Erskine and Central Arkansas, dropping one games to Wright State and Florida State. The Bucs currently have four players averaging double figure scoring, Saah Nimley with 16.7 ppg, Will Saunders with 14.3 ppg, Atlon Harper with 13.7 ppg, and Cedrick Bowen with 10.3 ppg. The Catamounts were victorious over Chicago State, 66-61 in the CBE Hall of Fame Classic regional tournament on Wednesday to up their tournament record to 2-1. WCU's Torrion Brummitt scored 14 points and Rhett Harrelson had 11 points with six assists to lead the Cats. With a commanding lead of 48-25 and about 15 remaining in the game, the Cats went into a scoring slump and Chicago State answered with a 23-5 run and pulled within five points, 53-48, with about 7 minutes left in the game. However, James Sinclair scored, then Mike Brown hit a three pointer and the Cats shot 8 of 14 from the charity line to to hold on. Trayvon Palmer scored 13 points and Clarke Rosenberg had 10 for Chicago State, The Cougars were 22 of 61 for 36 percent from the field. The Catamounts will next be in action Monday, Dec. 1 at 7:30 p.m. as they travel to Charleston Southern. The Catamounts now meet the Chicago State Cougars of the Western Athletic Conference in the final round of the regional tournament. As with both Oakland and Georgia State, this will be the first ever meeting on the basketball court between the Cats and Cougars. The Cougars enter the game with a 2-4 overall record, and two losses in the tournament. The Cougars fell to Georgia State in the opening round by a score of 46-69 and to Oakland on Tuesday night, 57-70. The Cougars are averaging 67.8 ppg, shooting 43% from the field and 29% from three-point range. The Cougars are averaging 17 turnovers and 11 steals per game. Clarke Rosenberg is leading Chicago State with 19.2 points per game, followed by Anthony Glover with 9.6 points. The Cougars are led by Jared Dimakos in rebounding with 5 rebounds per game. Georgia State's R.J. Hunter put up a game-high 27 points on 10-of-23 shooting, as the Panthers claimed an 85-70 win over Western in the second round of the CBE Hall of Fame Classic. Rhett Harrelson totaled 21 points for the Cats, and Torrion Brummitt finished with 15 points. James Sinclair total of 14 was well below his seasonal average. Harrelson hit a three pointer with a little over 6 minutes to play. putting the Catamounts into a 64-64 tie. The Panthers then reeled off eight in a row over the next two minutes. Harrelson then hit two from the line and Georgia State responded with 10 more, leading 82-66 with 1:43 to play. The Cats will play their final game in the tournament on Wednesday, as they meet Chicago State at 4:30 pm and the chance to finish up 2-1 in the CBE Hall of Fame Classic. Conference football honors were announced today, and here's who both the Media & Coaches selected from the Catamounts. Welcome to this week's Purple & Gold SoCon Power Rankings for the week beginning 11-24-14. The power rankings are published on Tuesday of each week. This is the final Power Rankings for the season. We've certainly enjoyed bringing the rankings to you each week, and will see you again next season. After the double overtime win over tournament host Oakland University, the Catamounts now meet the Georgia State Panthers. As with Oakland, this will be the first ever meeting on the basketball court between the Cats and Panthers. The Georgia State Panthers easily beat Chicago State in the first game of the regional tournament on Monday afternoon, by a final score of 69-46. The Panthers are now 2-2 on the season, with wins over Tennessee Temple and Chicago State, with losses to Iowa State and Colorado State. Last season's Sun Belt regular season champs, GSU returns three starters and were selected to repeat as league champs by the coaches poll. The Panthers are led by junior R.J. Hunter who was named Sun Belt Preseason Player of the Year and is averaging 21.3 points per game. Senior Ryan Harrow joined Hunter on the Sun Belt Preseason all conference first-team. Georgia State leads the Sun Belt averaging 81.0 points per game and is second in field goal percentage, shooting 50.3 percent. The Panthers are also second in the league shooting 42.9 percent from 3-point range, knocking down eight 3-pointers per contest. In the preseason, Chattanooga's quarterback Jacob Huesman was selected as the preseason Offensive Player of the Year. Much to his credit, he's had a good season for the Mocs. He's certainly the leading candidate for the end of year honors, but I'd like to see how our quarterback, Troy Mitchell's season ending stats, stack up to those of Jacob Huesman's. Yes the Mocs have won the conference, so that's in Huesman's favor, but look at the turn around the Catamounts have completed his season, certainly the turnaround and a second place finish in the conference accounts for something. It looks like a toss up to me...... what are your thoughts? Will it be Huesman or Mitchell? 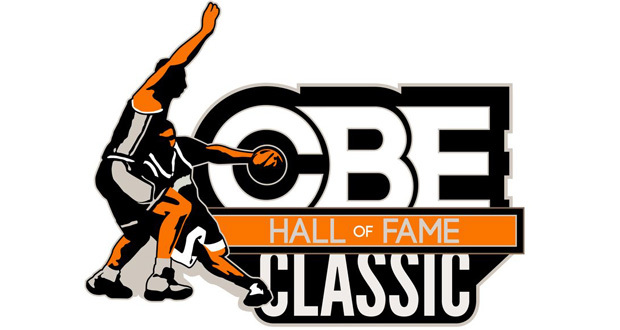 On Monday, the Catamounts will travel to Rochester, Mich. to meet the Oakland Golden Grizzlies in a regional round of the CBE Hall of Fame Classic. The Golden Grizzlies are members of the Horizon League, and are 0-3 in the season coming into this game. Oakland was picked to finish seventh in the Preseason Horizon League Poll, after a 13-20 finish last season. Oakland has dropped games so far to Iowa State, Eastern Michigan and Western Michigan. The Golden Grizzlies are 0-1 at home and 0-2 on the road this season, however, the Grizzlies are tough to beat at home, much like the Catamounts and are 45-10 over their last 54 home games. In Oakland's three games this season, they are averaging 76.7 points per game on 46.5% shooting from the floor, and have made 25 of 67 three point attempts (37%) while hitting 45 of 65 free throw attempts (69%). Currently, RS junior Tommie McCune (6-8, 210 lbs forward) leads all scorers for Oakland with 18.7 ppg, closely followed by sophomore Kahlil Felder (5-9, 176 lbs, point guard) with 17.3 ppg and RS senior Corey Petros (6-10, 255 lbs. forward) with 14.3 ppg. It's the thirteen week of the season, and we're finally there - the last week of Southern Conference football. It's not the end of the season for Chattanooga, but most likely, the remaining seven (7) teams will play their last game of the season on Saturday. This weekend, we have three conference contests and two teams that will travel out of conference to meet Southeastern Conference teams. This will be our last SoCon Football Picks for the season, we hope you've enjoyed natching your picking skill against ours throughout the season. The Crimson Tide is now ranked #2 nationally in the FBS Coaches Poll, and was just mover to the #1 ranking in the College Football Playoff Rankings. Alabama is coming off physically and emotionally draining wins over LSU and former #1 Mississippi State. To make matter worse for a possible letdown, the Tide will play in the Iron Bowl against arch rival Auburn in two weeks. Sandwiched between Mississippi State and Auburn, is Western Carolina. Could the Crimson Tide have an emotional letdown, or be caught looking forward to Auburn? Welcome to this week's Purple & Gold SoCon Power Rankings for the week beginning 11-17-14. The power rankings are published on Tuesday of each week. There is three conference games this week, while two teams take to the road to challenge Southeastern Conference foes. In conference play this week, the SoCon's two military schools renew their rivalry as conference mates when The Citadel travels to VMI. The Mocs can wrap up a perfect season of conference play this weekend as they visit Furman, and Mercer looks for a second conference win against last week's surprise upset victim, Wofford. In out of conference play, Western Carolina visits #2 nationally ranked Alabama, while Samford travels to #17 Auburn. The Mocs have locked up the 2014 SoCon Championship and the conference autobid to the NCAA tournament, and can wrap up a perfect season in conference play when they visit Furman. The Paladins will be looking to knock of the number one team, and spoil their seeding in the NCAA tournament. With conference play over for the Bulldogs, they will travel to the place of their coaches former glory days, Auburn. The Bulldogs will hope to keep it respectable with a very mad bunch of Tigers after they were knocked off by UGA last Saturday. The Cats are celebrating their 7 win season and their share of a second place finish in the conference standings. They will travel to Alabama for a game with the team that just knocked off the nationally #1 ranked Mississippi State. The Bulldogs travel to VMI this weekend to play their most important game on their schedule, when they play in the "Military Classic of the South" for the "Silver Shako". A victory in this game would go a long way to relieve the pain of disappointment in this years win/loss record for the Bulldogs. The Paladins would love nothing better than to end a disappointing season with their second straight upset win. While the Mocs are looking to go undefeated in conference play, the Paladins looke to play the role of spoiler in the Mocs prospects to receive a seed in the upcoming FCS playoff tournament. Mercer travels to Spartanburg for a game the Bears hope will result in their second conference win in their initial season in the SoCon. While little was expected of them by their conference mates this season, the Bears have been competitive in most of their conference games, and hope they can pick up that second win from a down Wofford team. The Keydets play at home this season in that all important "Military Classic of the South" as they will play The Citadel for the right to maintain the "Silver Shako" for one year. A win in the game would certainly lessen the disappointment in what is a 2-9 record for the Keydets. This one is usually a toss up. Below is Purple & Gold's submission to this weeks consolidated Power Ranking, Game of the Week and Player of the week, plus our answers to the questions. To read the entire column with the input from the entire crew, visit MocsMania. Western Carolina payed a visit to Mississippi State on Friday with a realistic shot to pick up a win over the SEC school in the season opener for both teams. In the first half, even though the Bulldogs shot 52%, thanks to 12 turnovers by MSU, and 5 for 10 three point shooting, the Cats went to the locker room down only one point, 31-30. However, the undersized Cats could not contain the inside game in the second half, sending the Bulldogs to the charity strip for 37 attempts, making 28 points from the free throw line. The final score was 56-66, with senior James Sinclair leading all scorers with 20 points and Rhett Harrelson adding 14. What team surprised you this weekend? I'd say VMI is my surprise team. While the Keydets went 1-1 in the All-Military Classic, I didn't see the scoring I'd expected from this team. 66 points against the Citadel and 86 versus Army is not quite the scoring machine I was expecting from VMI. Wofford plays Iona on ESPN2 at 7 AM in the 24 Hour Tip Off Marathon. What do you think of playing at that time? I think I'd have taken a pass on playing in the Tip Off Marathon. I don't think any meek publicity the team gained from playing in the marathon at 7 am, would be with the disruption in the teams normal schedule that an early morning game would create. What are your thoughts and reactions to the SoCon Digital Network? In my opinion, this is the best thing that's happened tin the Southern Conference that I can remember. Giving the average fan free access to all home football, basketball, etc. games will pay huge dividends for the conference and each individual team in the long run. The SDN will give the conference exposure like we've never had in the past. As the public learns about the ability to see games for free, this asset will only grow in scope. Saturday was an "Awesome day in the Whee! TEAM received Back2Back Championship Rings"
In week twelve of the season, the Southern Conference had three conference games, and two teams played out of conference teams. The big surprise of the weekend, was the Wofford / Furman game. The Paladins upset the Terriers to pick up their second conference win of the season. In other conference games, Samford narrowly pulled off the expected win over The Citadel, and Western Carolina handled VMI to keep their home winning streak in tack over the Keydets. In out of conference action, Chattanooga picked up win #9 of the season, in their 38-17 victory over Tennessee Tech, while Mercer easily handled the visiting NAIA team, Warner University Royals, but embarrassed themselves and the conference with this display of excessive "planned" celebration. VMI at Western Carolina: The Catamounts assured themselves of a winning record this season with a 43-27 victory over the Keydets. Troy Mitchell threw five touchdown passes and ran in a sixth, he finished with 339 passing yards on 32-for-42 passing attempts. Mitchell rushed for another 109 yards in 12 carries, scoring one rushing touchdown. Karnorris Benson pulled in four touchdown passes. The gives the Cats their first winning season since 2005. Wofford at Furman: In the surprise upset of the weekend, the Paladins' P.J. Blazejowski threw a perfect 15-of-15 passing attempts, for 305 yards and two touchdown passes, while running for a third in Furman's 31-14 victory over Wofford on Saturday. The Paladins scored 14 unanswered points in the second half of the game for the win. Samford at The Citadel: The Bulldogs traveled to Charleston, SC in search of a victory to keep themselves in line for at least a share of second place in the conference standings, a ran for a touchdown in the final seconds of the game to accomplish their mission. Chattanooga at Tennessee Tech: The Chattanooga defense allowed Tennessee Tech just 171 total yards, and only 9 first downs in their 38-17 victory over the Golden Eagles. The Mocs racked up a total of 457 yards, while holding TTU to 171 yards (75 yards passing, 96 rushing). Warner at Mercer: Mercer overpowered the undermanned NAIA team. 56-0. Offensively, the Royals managed just five first downs and 60 yards of total offense in the first half while giving up 308 yards 49 points in the first half. Western Carolina travels to Tuscaloosa on Monday night, for the first of two games that involve the Rolling Tide and the Catamounts this week. In the first of the two games, the Cats meet the Tide on the basketball court and in the second game this Saturday, the Cats tangle with the Alabama team that just knocked off the FBS first place team, Mississippi State, yesterday. This will be the fourth meeting all time between the two teams in basketball, with Alabama winning all three previous contests. The two teams first met in 1980 and the last meeting was in 2004, with the Tide winning 97-66. Alabama returns four starters and eight letterwinners from last season’s squad that was 13-19 overall, and 7-11 in the Southeastern Conference. Senior guard Levi Randolph is the team’s leading scorer returning from a year ago, and averaged 9.6 points per game. Junior Retin Obasohan returns as the second-leading scorer (9.5 ppg) and leads the team in steals (1.8 spg). Senior guard Rodney Cooper led the Tide with 4.9 rebounds per game, while averaging 7.5 points and 1.8 assists. Other returning players include sophomore forward Shannon Hale (8.8 ppg, 3.6 rpg), who earned SEC All-Freshman honors last season, and Jimmie Taylor (3.0 ppg, 3.3 rpg, 1.3 bpg). 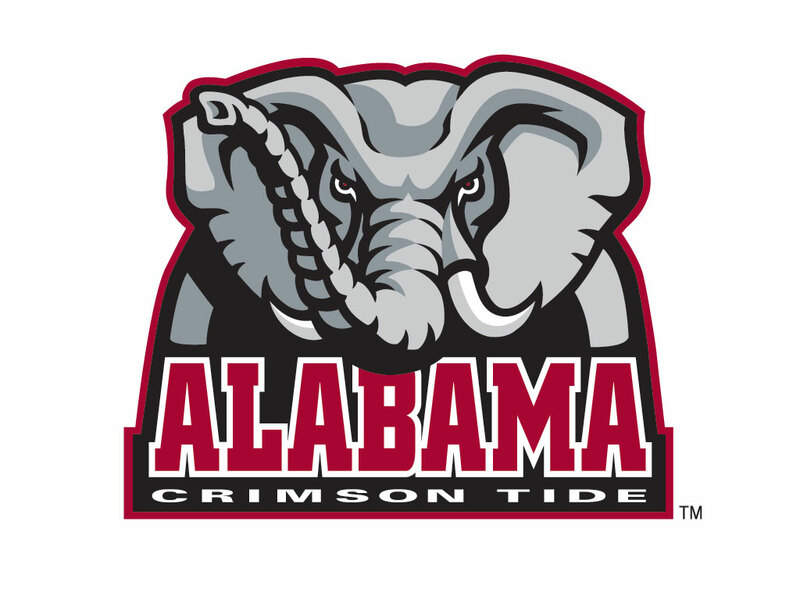 The Tide comes into the game with a 1-0 record, as they opened the season with a 82-54 victory over the Towson Tigers last Friday at Coleman Coliseum. Alabama's offensive attack was led by Levi Randolph's 15 points and 10 rebounds in his first career double-double. Senior guard Rodney Cooper scored 15 points on 6-of-8 shooting. as sophomore forward Shannon Hale finished with 14 points. Freshman forward Riley Norris scored 10 points off of the bench in his first game. "I thought we played with great energy," Alabama Head Coach Anthony Grant said after the game. "I was really pleased to see our guys come out and take the fight. I thought the energy was there from both ends of the court. The guys that came in I thought did a great job, the intensity was there I thought throughout the first and second half we would wear them out with our defense. I think style and play-wise we set the tone." Alabama shot 29-of-63 (46%) from the field and was 17-of-19 from the free-throw line. The Tide had 14 steals and forced 22 turnovers and capitalized on those mistakes, scoring 34 points off those turnovers. 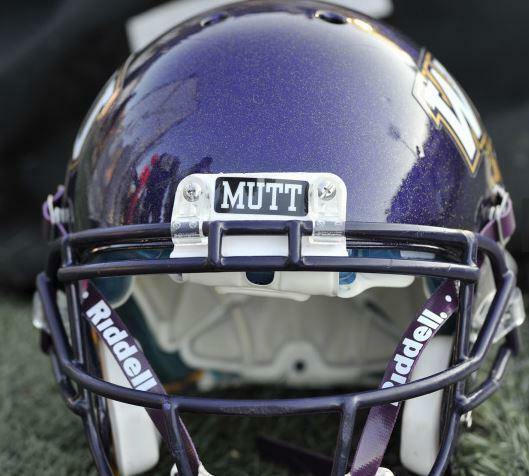 The Catamount football team wore a sticker on the front of their helmets honoring WCU Hall of Fame member Al "Mutt" DeGraffenreid in Saturday's game against VMI. Coach Mutt passed away on Nov. 8, 2014. This week's Purple & Gold - WCU Player of the Game goes to junior quarterback Troy Mitchell. This is Mitchell's second selection this season of the Player of the Game honors. In addition, Troy was the Cats second leading rusher, carrying the ball 12 times for a total of 109 yards and rushing for one (1) touchdown. The Catamount Sports Forum, along with Purple & Gold congratulates Troy in his Player of the Game selection. Deriece Parks is a 6-5 guard from Charlotte, N.C.,and is a sophomore at South Georgia Technical College and will, he will join the Catamount team next season as a junior. Parks averaged 16 points, 4.2 rebounds and 2.3 assists per game during his career at Olympic High School and was named MVP of the state championship game as a senior. He was also named first team All-State. "Deriece has continued to work hard to change his body and develop his game following an outstanding high school career at Olympic High School where he was the MVP of the state tournament his senior year," said WCU Head Coach Larry Hunter. "He has good perimeter size and is long and athletic. He is one of the best perimeter shooters in the 2015 recruiting class. He has a great release and exceptional range. He will enter our program as a junior which is a class where we do not have a scholarship player." In the first meeting between Mississippi State and Western Carolina on the basketball court, the Bulldogs took home a 66-56 victory on the strength of their free throw shooting, hitting 28 shots out of 37 attempts, while the Cats only went to the charity stripe for 10 attempts, hitting five. As lopsided as the difference was between the two teams being sent to the charity stripe, the number of personal fouls against the two teams were fairly close. The Cats were whistled for a foul 22 times, while MSU was called for 18 personal fouls. It seems the Cats were whistled every time the Bulldogs took the ball inside, while the zebras' whistles were noticeably quite when the Cats made those same drives, However, I'm sure that was just some strange type of coincidence. James Sinclair led all scorers with 20 points, followed by Rhett Harrlson with 14 points and Mike Brown added 11. For MSU, Roquez Johnson put up 16 points to lead the Bulldogs. The Bulldogs led by a single point at the half, 31-30. Jesse Deloach is a 6-7 forward from Johns Creek, Ga., and is season at Mount Pisgah Christian School. "Jesse is a player who will complement our big man core," said head coach Larry Hunter. "He is a very versatile forward who possesses good length and athleticism. The thing that consistently impressed us the most about Jesse was his great motor. He works hard and plays hard. He loves to compete and understands the importance defense and rebounding can have upon the outcome of games. He reminds me a lot of one of our former players, Richie Gordon." It's week twelve in this years football season and this Saturday the Southern Conference has three conference games and two out of conference games. Now that the Mocs have wrapped up both the league championship and the auto-bye to the playoffs, they step out the conference to meet Tennessee Tech of the OVC. Joining Chattanooga in out of conference play is Mercer. who plays at home against Warner in the Bears final home game of the season. The Catamounts travel to Starkville, Mississippi on Friday to meet the Mississippi State Bulldogs of the Southeastern Conference in the opening game for both teams. This will be the first meeting between the two teams. The Bulldogs were 14-19 last season overall and finished 14th in the SEC, but were 11-7 overall at home last season. The Bulldogs return all five starters: Craig Sword (13.7 ppg), Fred Thomas (9.3 ppg), Trivante Bloodman (6.5 ppg), Gavin Ware (10.0 ppg), & IJ Ready (5.0 ppg). However the Bulldogs were struck with the injury bug before playing their first game. Craig Sword and I.J. Ready have both missed preseason practice following back surgery to repair bulging disks. Sword is expected to miss just one or two games, while Ready is expected back in mid-December. Junior college transfer Johnny Zuppardo is out for the year after tearing the ACL and meniscus in his left knee. In an exhibition against Div II, Delta State, the Bulldogs won 72-51. Gavin Ware led MSU with 19 points on 9 of 13 from the field. Demetrius Houston added 12 points in his MSU debut, while Fallou Ndoye added 11 points in his first action. MSU shot 48.1 percent from the floor, hitting 26 of 59 shots from the field (44.1 percent), 2 of 8 shots from 3-point range (25.0 percent) and 18 of 24 shots from the foul line (75.0 percent). The Bulldogs ended the game with a 38-34 rebounding advantage, and had 15 assists and 12 turnovers. In his third season at the helm of the Bulldogs, head coach Rick Ray was pleased with his team’s defensive intensity in the exhibition. He said he saw positive results from full-court pressure applied throughout the contest. Western Carolina has signed three student-athletes for the 2015-16 incoming class. We'll take a look at all three in the early signing class. Elijah Pughsley is a 6-1 guard from Lima, Ohio. Pughsley is in his senior season at Lima Senior High School, he spent last season at Hughes High School in Cincinnati where he averaged 16 points and five assists per game. Pughsley set the school's record for 3-pointers in a season at 69. Pughsley missed his sophomore season, but played as a freshman at Lima Shawnee where he was named second team All-Conference while averaging 11 points and two assists per game. "Elijah is a very skilled guard who has the ability to play either the point or off guard positions," said Head Coach Larry Hunter. "Because of his excellent feel for the game and competitiveness, he has developed the ability to impact situations with his scoring, passing, defense, and rebounding. He is long and athletic and can score from behind the arc as well as off the dribble. He is passionate about the game and has good leadership skills." "We are very excited about the three young men whom we have signed this fall to become a part of Western Carolina University and our basketball program starting in the fall of 2015," said Hunter. "Our primary goals for this class were to add two talented scoring perimeter players and a versatile, athletic big. I am pleased with the hard work my staff continues to do in recruiting quality young people, good students, and talented basketball players to our basketball program." Welcome to this week's Purple & Gold SoCon Power Rankings for the week beginning 11-10-14. The power rankings are published on Tuesday of each week. Chattanooga separated itself from the pack and has earned the SoCon's autobid to the NCAA playoffs and earned outright the 2014 SoCon Championship. The Mocs will play out of conference foe Tennessee Tech Saturday. The only other out of conference game is Warner at Mercer. In conference action, Wofford at Furman kicks off the day at 12 noon. Samford plays at The Citadel at 1 pm, VMI travels to Western with a 2 pm kickoff. The Mocs have locked up the 2014 SoCon Championship and the conference auto bid to the NCAA tournament. Chattanooga travels to Cookville to meet the Golden Eagles. With their win Saturday over the Catamounts. the Bulldogs and Cats are both holding down second place in the conference race, both would like to finish the season there so the upcoming conference games are a must win for both teams. After two disappointing losses straight, the Catamounts still have the opportunity to complete the season in second place. VMI comes to Cullowhee with only one win, but have two weeks to prepare for the Catamounts. The Battle of I-85 takes place in Greenville on Saturday. This is a game that could go either way against these two rivals. The Bulldogs only have their honor to play for now, and they defend the home turf quite well. While Samford will probably be the favorite, don't count out The Citadel. Rested up from their bye week, the Bears will be more than ready for Warner. I'm not sure about their fans, we'll see how many show up. Another team fresh off a bye week, the Keydets are pumped and ready to take on an old foe, Western Carolina. Given the Cats have lost two straight, the 'Roos feel the time is right to pick up their second conference win. It doesn't get any easier for the struggling Paladins over the new two weeks. The Terriers travel to Paladins Stadium this week, and Chattanooga visits Greenville the following week. The final home game of the season for the Catamounts, brings an old SoCon rival to Cullowhee, the Virginia Military Institute for the first time in 13 years. Western Carolina leads the series with VMI, 17-3 and the Cat own an eleven game winning streak over the Keydets. The Keydets have found that their football difficulties have continued since their return to the SoCon, as they currently are 1-4 in the conference play, with games against the Catamounts and The Citadel remaining on their schedule. The bright spot for VMI is they are coming off their first conference victory of the season against Furman as well as a bye week to prepare for their game against the Catamounts. The Keydets are led by freshman of the year candidate Al Cobb who led VMI to their first win over Furman since 1979. He completed 24 of 37 pass attempts for 239 yards and two touchdowns, and carried the ball 11 times for 49 yards and a touchdown. The Keydets are currently in last place in rushing offense (99 ypg), but are in first place in passing offense, averaging 253 yards per game. One bright spot for the Cats is that VMI is in last place in the conference in scoring defense, giving up an average of 41 points per game, and last in total defense giving up an average of 482 yards per game. Series History: Western Carolina currently leads the series 17-3. The Cats and Keydets first played in 1978 and last played in 2002, with the Cats owning an eleven game winning streak over VMI. Western Carolina was the last SoCon team the Keydets played in Lexington before their departure from the Southern Conference. Their coach: Sparky Woods - Sparky Woods enters his seventh season as head coach of the VMI football program, and continues to make his mark throughout the program by implementing the philosophy and knowledge attained over an impressive coaching career. Catamount fans might also remember Woods as the head coach of Appalachian State from 1984 -1988. The last game vs. VMI: Nov 2, 2002 - Western Carolina quarterbacks Pat Cilento and Brian Gaither combined for 350 yards passing and four touchdowns to lead Western Carolina past VMI, 35-23, in the final Southern Conference game played at Alumni Memorial Field in Lexington. The Catamount win was the 11th straight for Western over the Keydets and snapped VMI's three-game win streak. With the win, WCU improves to 5-5, 3-4 in the Southern Conference, while VMI fell to 5-5 and 2-4 in the SoCon. This week, we have our preseason awards edition. This is the fourth year of Scanning the SoCon, and we hope that we are able to give a warm welcome to all the newcomers. Family, friends and Catamount fans are mourning the passing of a former Western Carolina athlete Coach Mutt. "It is a sad day for everyone in Catamount Nation," said Randy Eaton, WCU's Director of Athletics in a statement released to the media. "Coach Mutt exemplified what it means to be a Catamount." Al "Mutt" DeGraffenreid was a fixture in Western Carolina University athletics for over 40 years, serving on the school's football team in the 1970s and helping lead the team to national recognition the NCAA playoffs. DeGraffenreid is survived by his wife, Pam, and two children, Cetera, who played collegiate women's basketball at the University of North Carolina, and Al who is enrolled at WCU. At Samford - Is this the Year?